In one of my recent Instagram posts(you can follow me on Instagram here), a few people commented about me teaching them to fix false lashes. I found it hilarious because I have always been a mascara girl. However, I’ve made it a duty to master the art of fixing lashes. I thought I’d share my steps to fixing lashes with tips and tricks I’ve learnt. Don’t buy that eyelash glue that looks like it might work. It might not or worse, might hurt your eyes. DUO and Ardell make some of the best eyelash glues, they are also affordable. 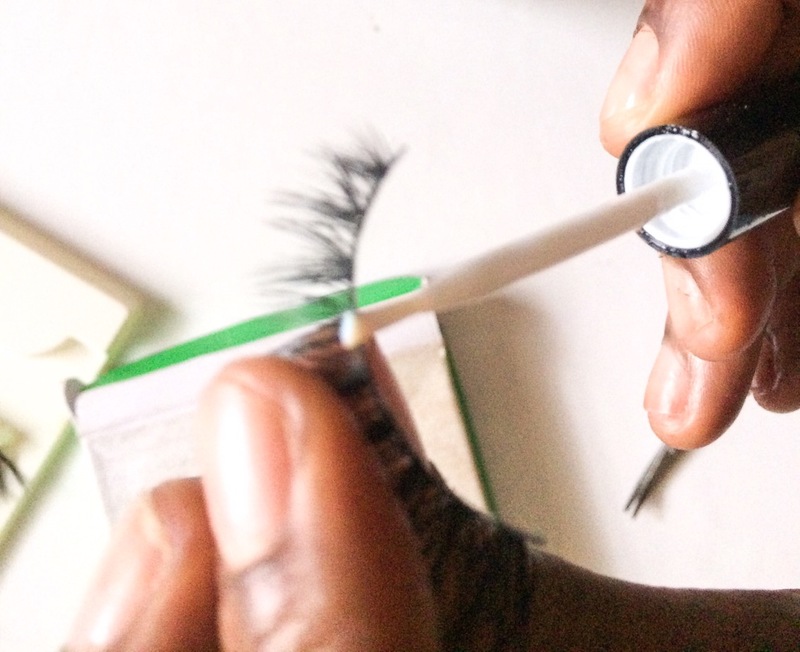 I use the DUO eyelash adhesive with a brush- on tip, it allows for precision glue application. 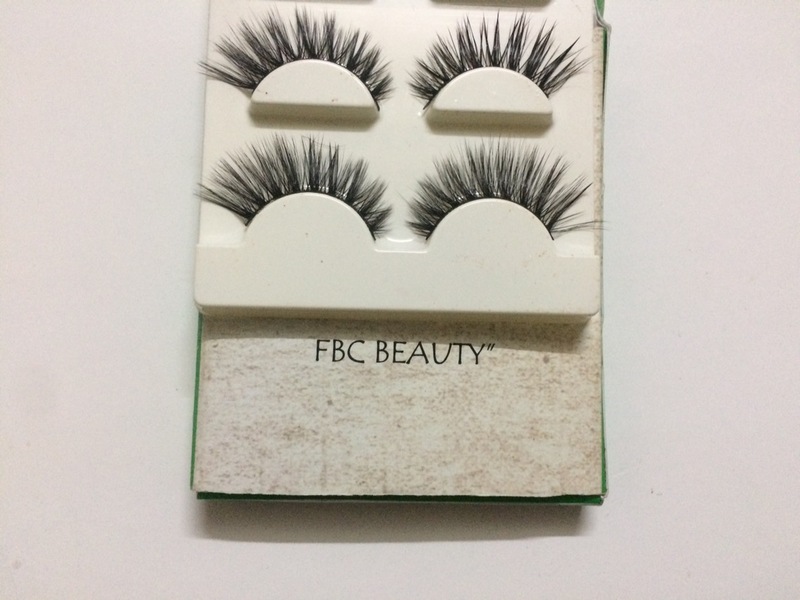 Red Cherry/ Stardell lashes are also great to start with if you don’t want to splurge OR you can go all out with Nuban Beauty or FBC Beauty Mink Lashes. A set of tweezers, preferably the clamp ones or you could use your fingers. 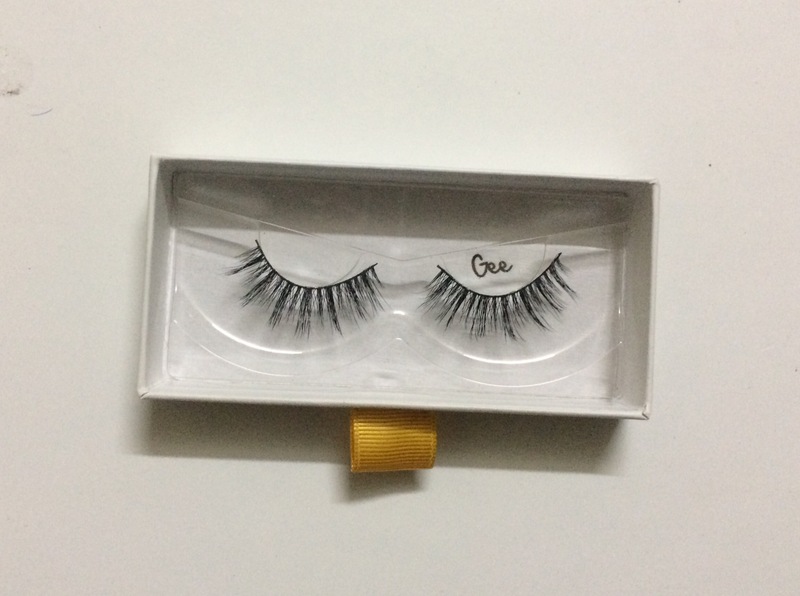 You don’t want to realize the eyelash band is too long or short after you’ve applied the glue. It is preferable to trim from the outer end, to preserve the style of the lashes. I have realized this is best with the lash band facing sideways or downwards. It prevents glue from sinking from the band into the lash itself. Let the glue sit in for about 1-2 minutes. Look DOWN into a mirror. This is one of the mistakes I made for a long time. It makes things a lot easier. I like starting from the outer end and working my way in. This is because my eyes are very round and my natural lashes are longest in the middle and tend to interfere with the false ones. You can also make things easier by applying a little mascara to your lashes before applying the lashes. This is the trickiest part for most of us. 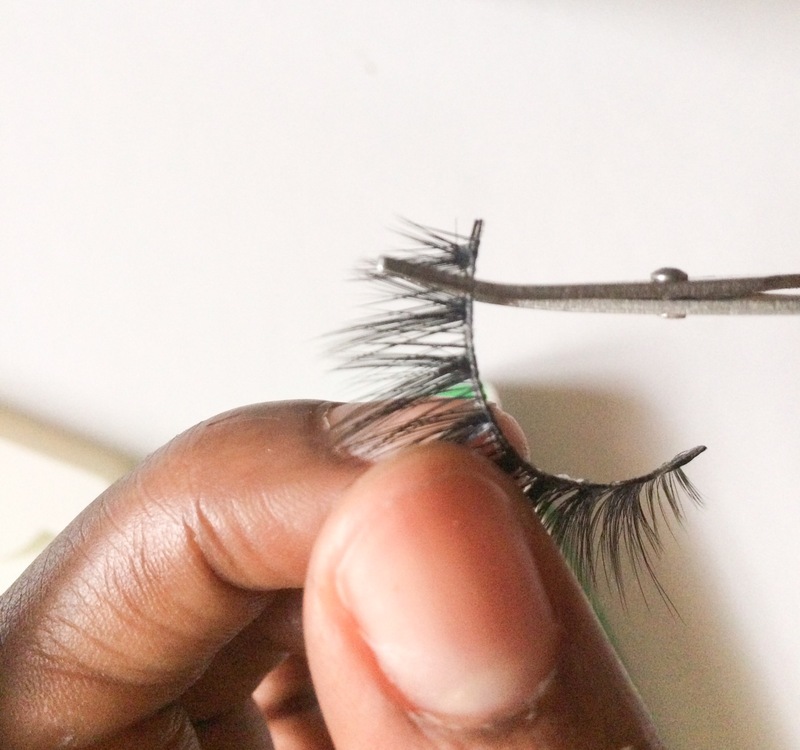 Gently hold the lash in place and wait for a few seconds for the lash to stay in place. If this doesn’t work, you can use a thin pencil brush to apply the tiniest bit of adhesive to your upper lashline and fix the end of the lash in place. I’ve learnt that with eyelash application, you need to be patient. The more you try it, the better you get at fixing them, keeping in mind the peculiarity of your eye shape. you’re always releasing great stuff. I shared this on my facebook and my follwers loved it! yes, good eyelash glue is a must! ive bought some that dont dry well and u can still see it. thats why i always stick with duo now! Yes, it is key! Absolute New York has a good one.